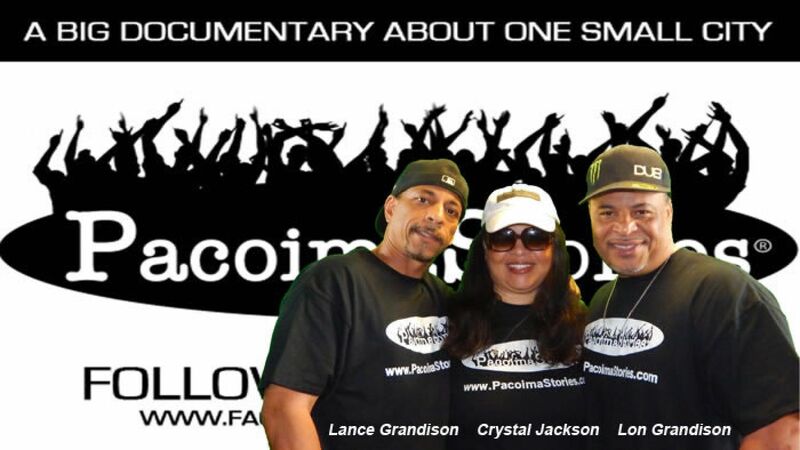 With a family who first came to Pacoima in the 1930’s, Crystal Jackson was born a Pacoima resident. After living in the San Fernando Gardens housing projects in her early years, she moved to various towns throughout the San Fernando Valley while growing up. Her family roots however, were always in Pacoima. She graduated from Granada Hills High school, but attended San Fernando High her last semester so she could stay close to her Pacoima friends. 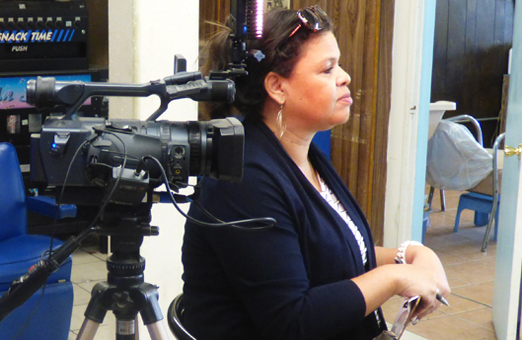 Crystal attended Cal State University Northridge where she majored in journalism and minored in history. Her first home purchase was in Lake View Terrace, where the 1994 earthquake “red tagged” the house. She moved to the Bay area where fond memories of her home town led her to researching and ultimately producing her first major project, PacoimaStories. 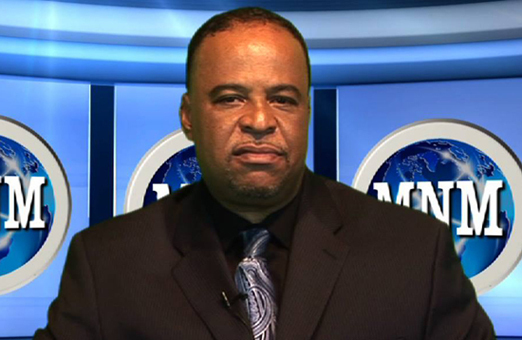 Lionel “Lon” Grandison Jr. is a producer/author with more than 25 years of experience in the television industry. He has worked on numerous productions and TV shows throughout the years, while developing a solid reputation as a creative specialist. Born in Pacoima, some of his projects include, “Video Hot-Mix” (Spike-TV), “Unsung Heroes of Soul: The Philly Sound” (feature documentary), “Magic Fundamentals” (sell-thru DVD produced for NBA Hall of Famer, Magic Johnson) and “From Africa to the Whitehouse” (syndicated TV special featuring Glynn Turman, Louis Gossett Jr., and Angela Basset). In 2012, Grandison co-wrote the highly successful non-fiction book “Memoirs of a Deputy Coroner: The Case of Marilyn Monroe”. The book is a biography based on the memoirs of his father Lionel Grandison Sr., the Deputy Coroner that investigated Marilyn Monroe’s death in 1962 and signed her death certificate. Currently Lionel Grandison Jr. works as the V.P. of Operations for the BAIT-CAL Media Group, an entertainment company based in Hollywood, CA. Lance “Sir Lance” Grandison brings more than 20 years of experience in the entertainment industry. He has a BA Degree from UC Santa Barbara where he majored in Communications. He has worked for several major radio stations in Los Angeles including KJLH-FM, KACE-FM and Radio One-owned V100. He attended Maclay Junior High and Kennedy High school. Music was always his passion, but his natural ability to fix, design and analyze technical and mechanical projects gave him an edge on technology. 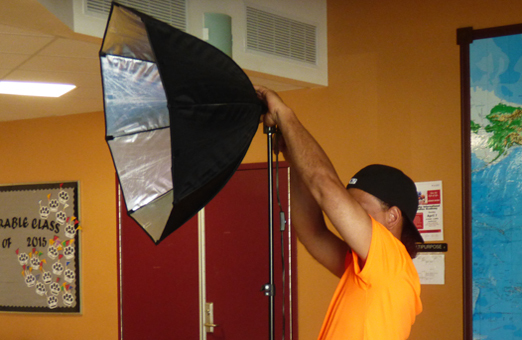 Lance’s creative camera skills and technical knowledge brings the PacoimaStories production staff full circle. He currently owns several multi-media platforms that deliver streaming content to viewers across the globe.